This compact 4 seater square garden table and stackable chairs set is perfect for use as outdoor furniture and offers plenty in the way of garden entertainment and al fresco dining. 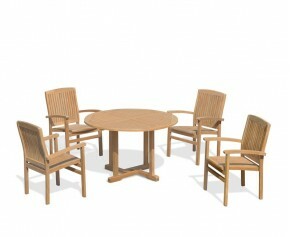 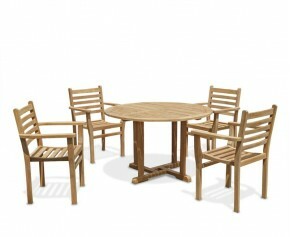 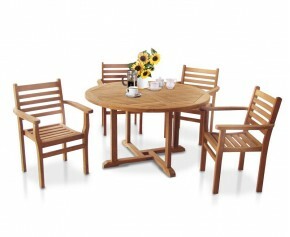 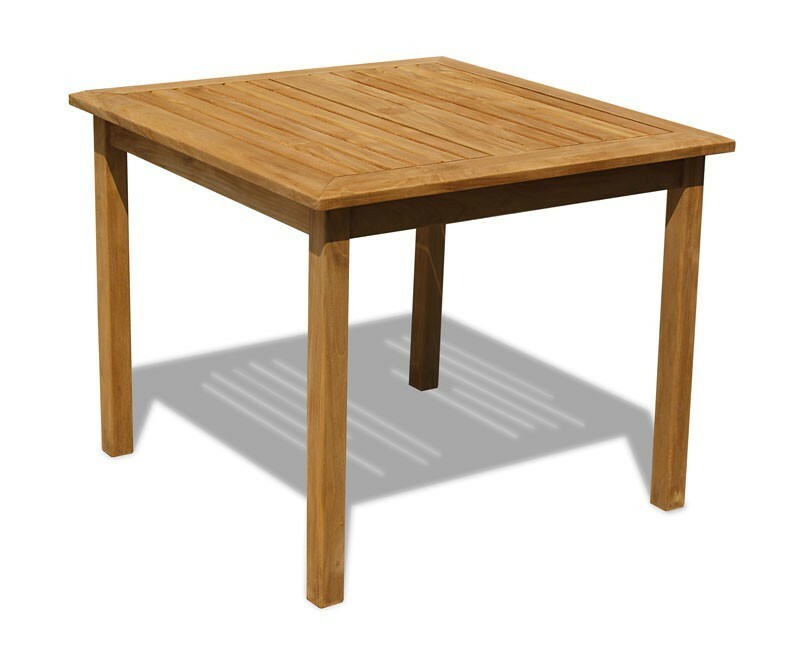 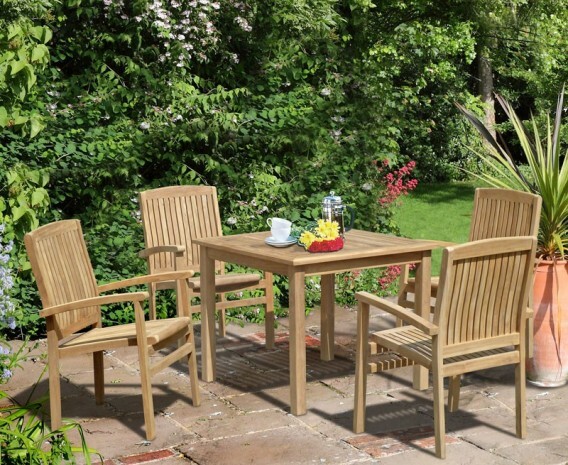 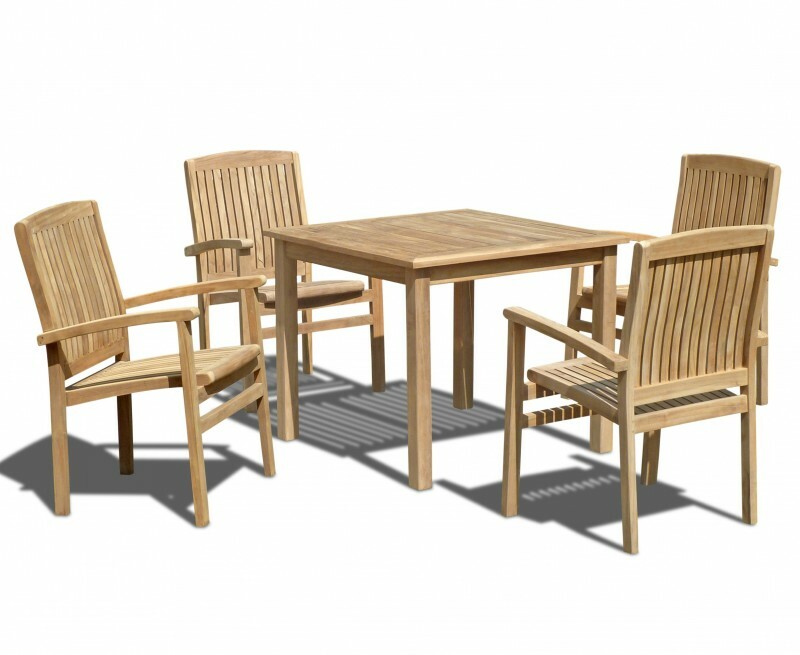 Expertly constructed in plantation grown Grade-A teak, this Sandringham square garden table and chairs set has been built to last and can be left outdoors all year round with minimal maintenance. 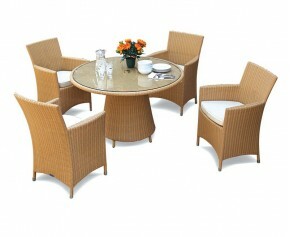 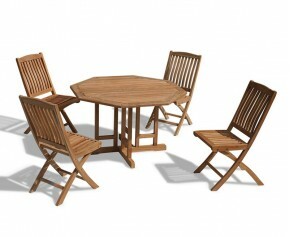 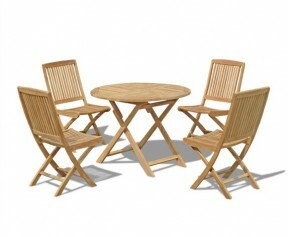 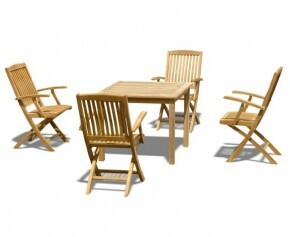 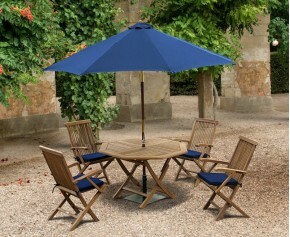 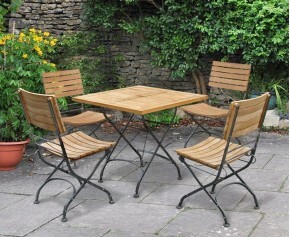 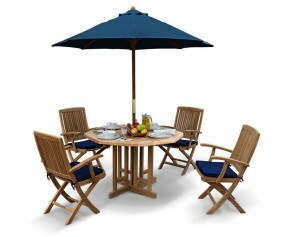 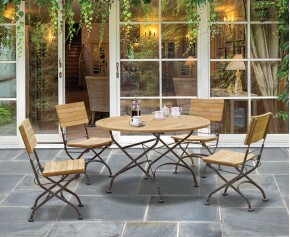 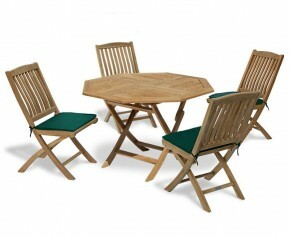 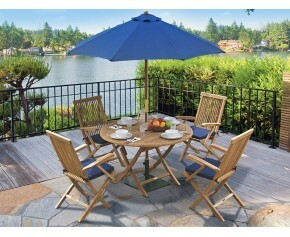 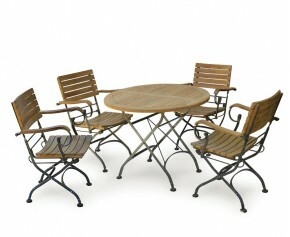 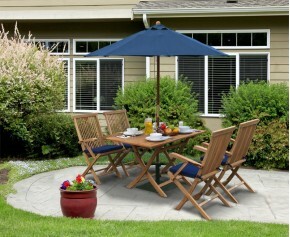 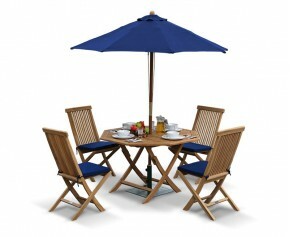 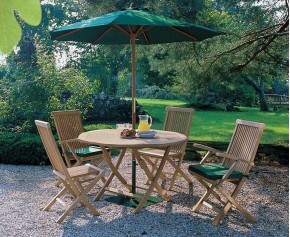 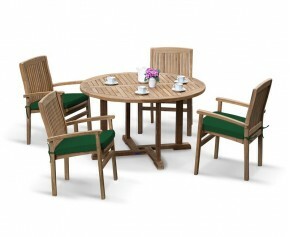 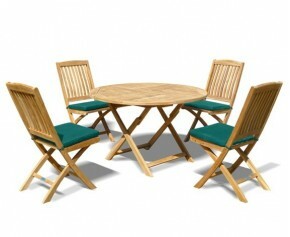 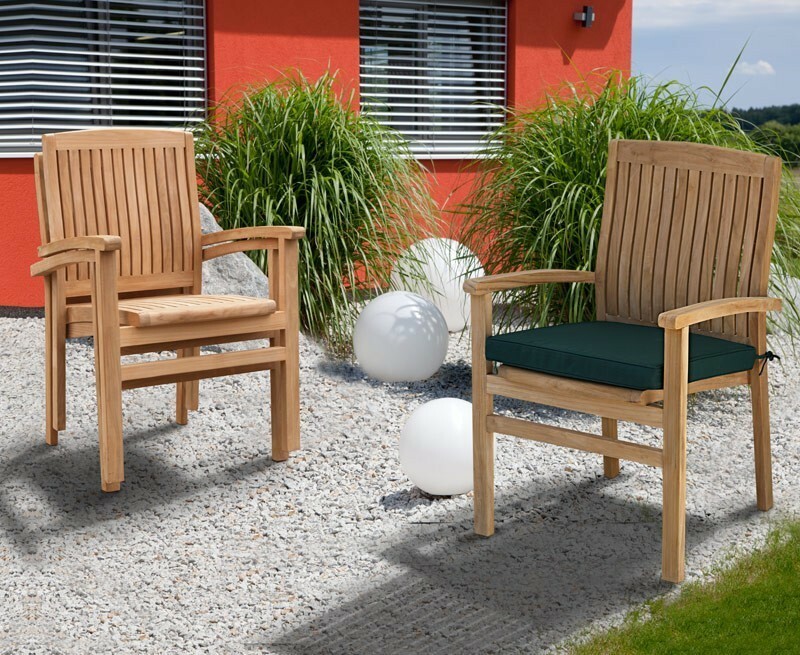 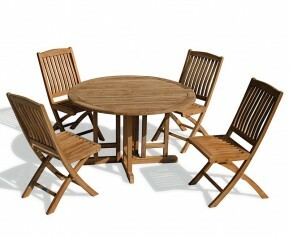 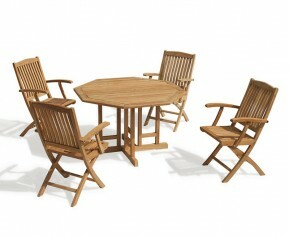 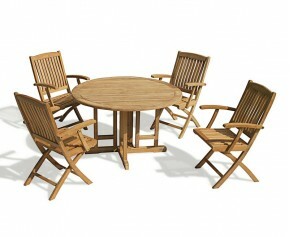 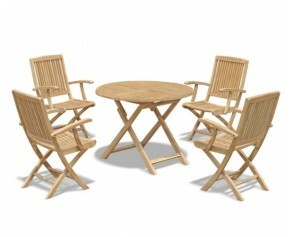 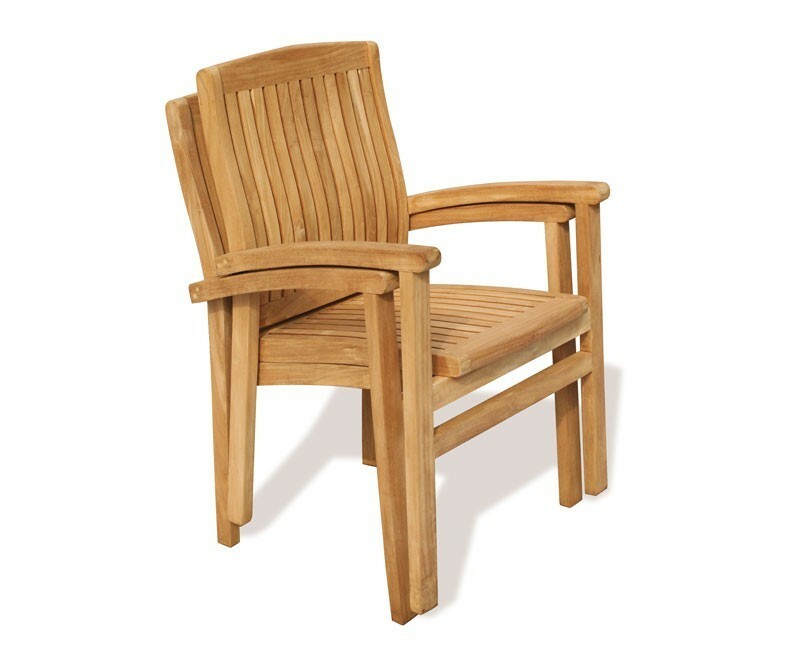 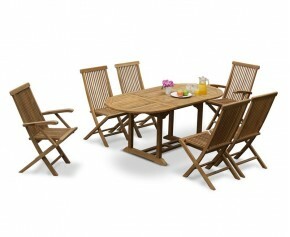 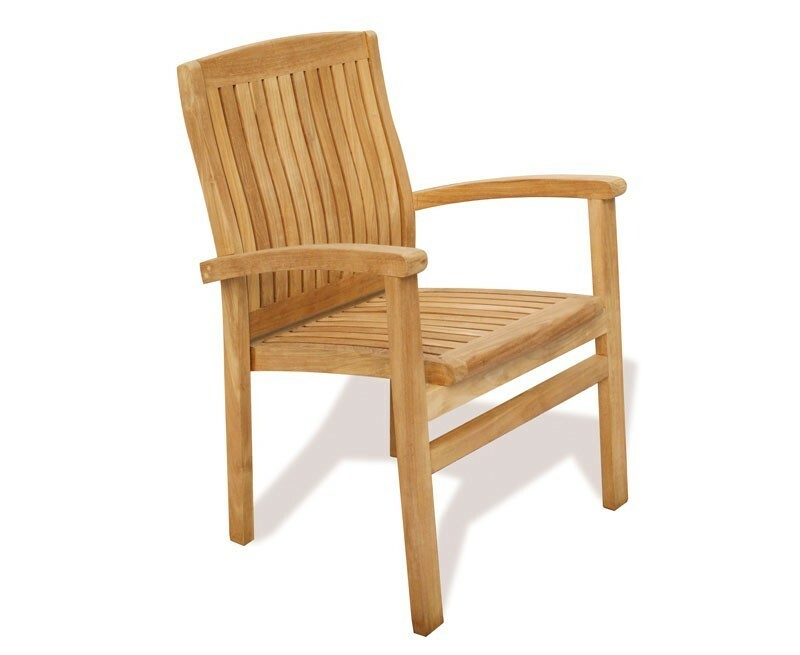 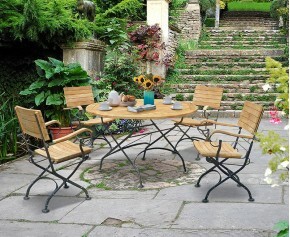 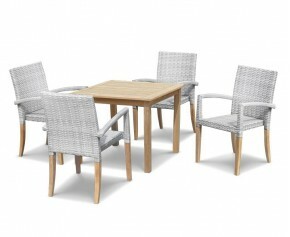 Equally suitable for both domestic and commercial use, this 4 seater garden table and stackable chairs set can be utilised without sacrificing a great deal of space, what's more the chairs can be effortlessly stacked up and stored when not required enabling you to make the most of your outdoor space.